The first ever R/C Spider that can run upside down on ceilings. Runs on floors, up walls and even upside down. 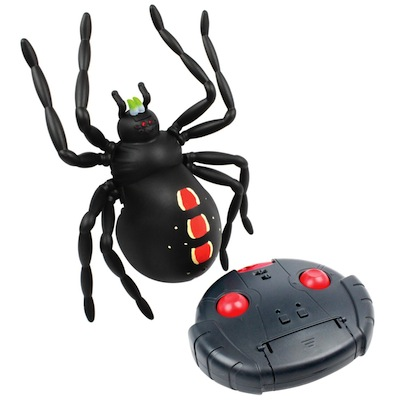 It’s easy to operate with its easy grip remote control that also charges the spider. Eyes light up red when powered on and the fangs glow-in-the-dark. Requires 6 AA batteries, not included. Measures 9.1" x 5.5" x 13.2". Ages 7+.